← You Asked Us – What Licenses, Permits, Business Visas and Taxes are Required for Non-Resident Landlords? 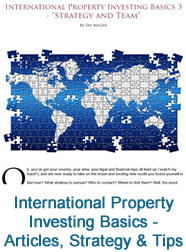 In the March – April issue of, “Asian Property Review” magazine, NTI’s Marketing Manager, Priti Donnelly shares tips to keep in mind when renting out your Japanese property. 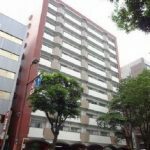 Unlike other parts of the world where real estate investments focus on value, Japanese properties are a non-speculative investment mainly for monthly cash flow. That’s not to say there is no capital growth potential. After two decades of inflation, signs of economic progress have been quite promising, trickling down to the real estate market. We have seen property values rise between 2012 and 2016. Since Prime Minister Shinzo Abe’s second term in 2012, the “Abenomics” plan produced significant progress in consumer confidence. Japan’s stock market almost doubled in value, increasing wealth of consumers. The yen fell by nearly one third against the U.S. dollar invigorating Japan’s export industries. Unemployment dropped. Entering 2015, Japan was positioned on an upward cycle on the back of the depreciation of the yen, partly due to a surge of tourists, and partly due to corporations relocating their production from overseas, back to Japan. Although signs of economic progress continue to appear promising, stability is uncertain. Therefore, investors turn to Japanese properties not for speculative long-term value, but for month-to-month cash flow from rental income. Prior to purchasing a property, as part of your due diligence, you will have a chance to find out about the tenant’s history. If your tenant leaves earlier than expected, depending on the profile and location, it could take one to three months to repair, clean, renovate, if necessary, and re-populate. In some cases, where the location isn’t very attractive, and market conditions aren’t favorable, it could take as long as six months. To protect yourself against the risk of extended vacancies, aim to purchase properties with the highest yield possible in a high occupancy area. If you own one or two units you would be at higher risk than holding a larger portfolio in which you can offset your losses in case of a vacancy. Therefore, for a low-risk income average, consider building your portfolio to be able to diversify your real estate assets to include properties with lower yields (6% to 7% net pre-tax) in metropolitan cities as well as higher yield, single units (upwards of 8% net pre-tax), in industrial areas or less central suburbs of the bigger cities. Once you own a property, you might be inclined to raise the rent for additional profit. Raising or lowering rents would not be common practice as long as the same tenant is occupying the unit. If you do raise the rent before renewing the lease, your tenant will probably not take the time to negotiate with you. Instead, he will likely move out to avoid any confrontation, leaving you with a vacant unit. Since rent rates were higher prior to the economic downturn, some investors prefer to find properties occupied by the same tenant for several years because their rent will be higher than the current average. Until that unit is occupied by a new tenant, the rent is likely to remain the same. Keep in mind however, that when the tenant leaves, the rent would drop to the current rate, having an impact on the yield. 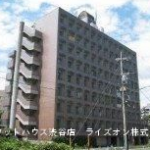 Japanese leases are normally two years and automatically renewed unless the landlord notifies the tenant in advance. But, you will find that laws are tenant-oriented. The landlord would be required to give six months’ notice to terminate a lease, and tenants would need to provide one month. A security deposit of one or two month’s rent would be your best protection in case a tenant decided to move out mid-lease. Is it easier to rent out a large or small unit? The ideal location for a larger unit of 30 to 60 sqm would be in a metropolitan area where families have access to schools, hospitals, and shopping. Larger units are harder to rent than smaller units, but once occupied, families stay for the longer term. 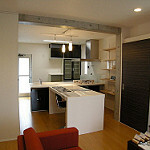 Small units of 15 to 30 sqm are much easier to rent because of Japan’s large singles demographic. But, singles are more likely to move. Large or small…it really depends on the area, and, of course, on your budget and any other assets in your portfolio. Some investors shy away from an older building on the assumption that if it’s old it must not be in great condition. The truth is, the condition of a building does not necessarily reflect its age. Older properties can be safe investments if they are well-maintained. While 1981 is the turning point for some investors as the year the Building Standards Act was revised for earthquake resistant construction methods, some older buildings built prior to 1981 can be retrofitted by regularly renovating, repairing and re-strengthening exterior walls to bring them up to code. The condition of a building does often dictate the type of tenants in the area — lower, middle or high income earners. Therefore, with careful due diligence on building repairs and the building’s accumulated funds, you can find a less expensive, well-maintained, older property occupied by tenants with stable income. 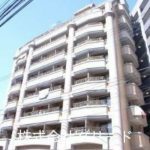 Short-term rentals, known as, “minpaku,” are becoming more regulated in Japan, especially popular in Osaka, Kyoto and Tokyo. Minpaku refers to rentals less than one month. Anything longer than that is treated as a standard rental lease. New legislative framework scheduled to come into effect mid-2018 allows owners to rent out their unit for up to 180 days a year. While short-term rentals could generate higher income than long-term leases, the caveat is, if you’re going to own an individual unit in a co-owned building, building management authorities can vote to disallow short-term rental agreements at any time. 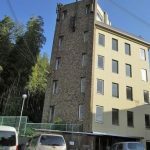 Therefore, if you are determined to rent out units on a short-term basis, a better investment would be to consider owning an entire building or a house in a popular minpaku area. 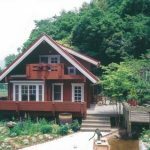 Share the post "Factors to Consider when Renting Out in Japan"